The latest version of TradeSkillMaster has been published, bringing the version to 4.5 (4.5.2 after hotfixes)! you can download directly from our site here: https://www.tradeskillmaster.com/install or grab it directly from Twitch/Curse. Let’s take a look at some of the highlights of this release! 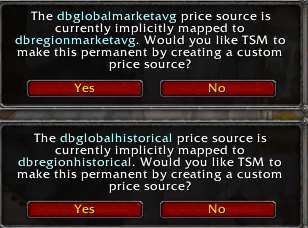 You may follow the prompt in-game after updating to map these to equivalent region level pricing via a custom price, or remove them from your operations. We’re very pleased to reintroduce this highly requested feature from TSM3, you can now create groups automatically based on your current professions! Opening the profession window, selecting the Crafting Tab > Groups, there’s a new option under the three-dot context menu to create a group for your profession with two sub groups – one with everything you can craft and another with all the materials required for those crafts. This provides a great starting point for any profession work, and allows for full customization on grouping preferences once everything is in an initial group. Note that this does not move any items that are already grouped. When you’re importing profiles or exports from your friends, you may not want to grab everything that comes with it. 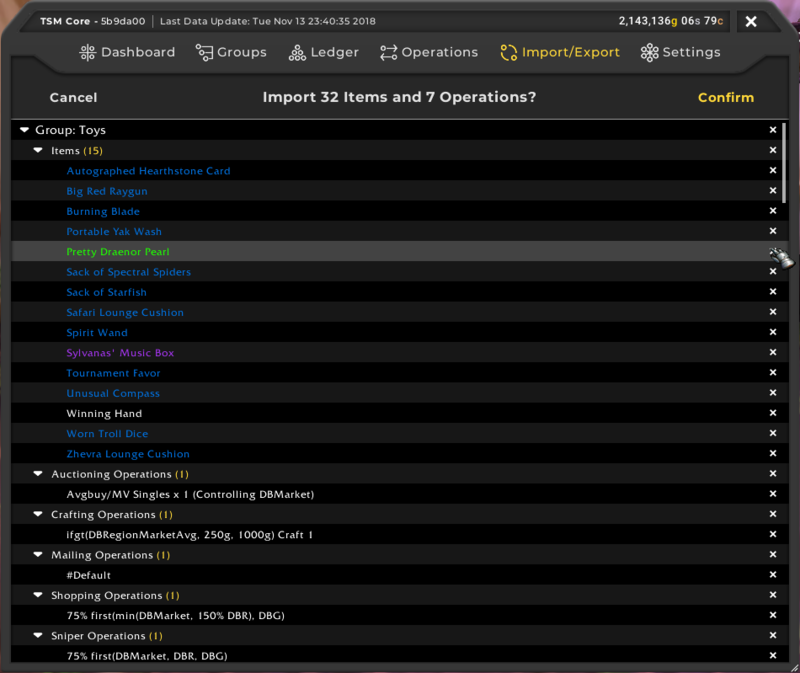 TSM now displays a better overview of what is to be imported and also allows you to remove specific items from the import before completion, as well as selecting to remove individual operations from the import. Once you’re happy with what is being imported, confirming will only import what you have selected. 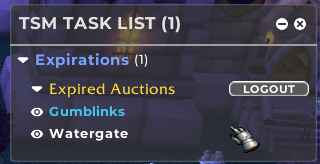 You will notice two additional entries to the Task List in 4.5 – you will now be prompted when you have expired auctions on a character, or mail that is about to expire to save it from being lost to the nether. You can hide these as usual with the ‘eye’ icon. Two updates to specific messaging have been implemented. The first in Mailing will now provide a summed total amount of gold collected from a mailbox. Secondly, when an attempt to purchase an item from Sniper fails, the message will now be more verbose and print the item link of the item in chat that failed to purchase – on the occasion that the item is still there you can search for it and try again. Several client freezes and crashes have been addressed, along with an occasional memory leak. An issue with the Mailbox persisting after closing and several UI misheaviors have been fixed. You can view the full changelog of 4.5 here.